For Bo Cox, reaching out for the sweetie was a landmark moment. Bo had not eaten anything for eight months when he decided he fancied one of the chocolate drops, just a few weeks ago. The last operation on his bowel had left him seriously unwell and being drip-fed tiny quantities of total parenteral nutrition, a complex mix of sugars, fats and electrolytes, in order for his body to function. 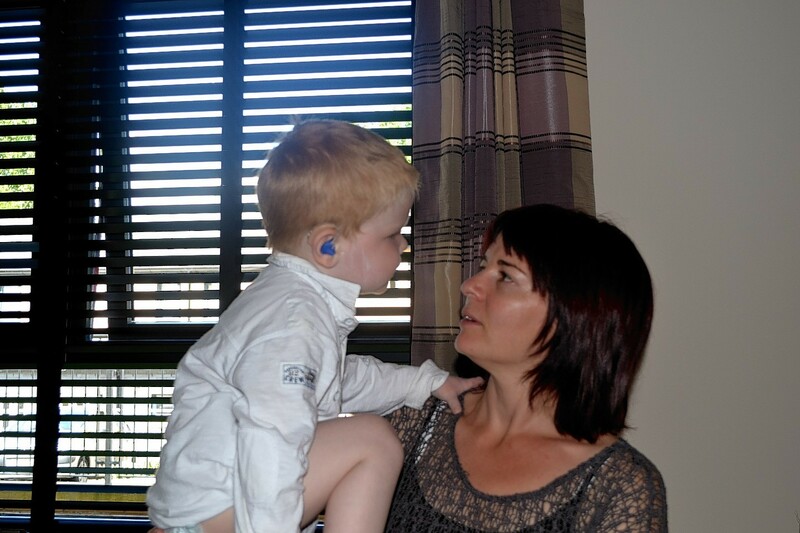 To see him reach out for a sweet and pop it in his mouth was a “massive” moment, said mum Lucy. She said: “I had lost all hope of being able to feed him myself. Bo has since ditched the buttons and now wants tiny pieces of a very particular ginger biscuit his aunt brought over from Sweden, with Ms Cox scouring Glasgow for a similar treat. It is the only thing he wants to eat. Bo is now able to live most of the time at home after being given a very specific care package. Night carers monitor his condition as he sleeps, when he is fed through a tube. However, should his mum become unwell, Bo would be straight back to Yorkhill. While his bedroom looks like that of any other growing toddler boy’s, stacks of medical equipment, from swabs to syringes and monitors, are concealed under his giant cot. A web cam keeps eye at one end. “I have to try and make it as normal as I can but there are little sneaky pockets of medical stuff in here,” Ms Cox said. Despite the sadness of his family, Bo’s character still lights up the room. Despite the pain he has endured, he still finds it in himself to smile. And just like any other little boy, sometimes only a cuddle from his mum will do.